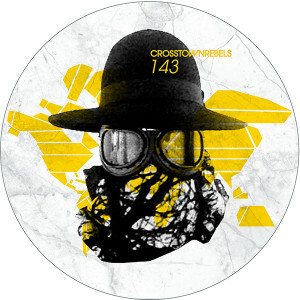 Over twenty years on from Felix 'Da Housecat' Stallings first endeavours under the Aphrohead alter ego, the US production and DJ legend announces a new album on Crosstown Rebels, with new single, ‘Let’s Prance’, a stellar introduction to the project. The Aphrohead alias was born back in 1993 as another outlet for prolific Chicago producer Felix Stallings, hailing instant anthems in 'In The Dark We Live', 'Thee Lite', 'Thee Industry Made Me Do It' & 'Thee Underground Made Me Do It', creating a precedent in 90's techno on halcyon labels Bush, Global Cuts, Power Music, Thee Black Label & Radical Fear. ‘Let’s Prance’ is a long-anticipated eruption, it’s futuristic tremors the first visions of a timeless album for Crosstown Rebels, complete with raw and industrial reworks from Art Department & BLUD, Radio Slave & Thomas Gandey and Christopher Trücher (the album’s co-producer. ).